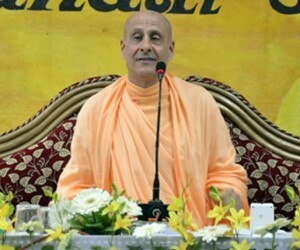 Earlier this year, one of our very dear God-brothers who visited this temple, His Holiness Sridhar Swami Maharaja, departed from this world. He had a very difficult disease and physically he suffered for many years. But, do you know what his name was, amongst those you knew him? ‘The Jolly Swami.’ He was always laughing and he was always making everyone happy. This was his positive attitude. 2 Responses to "Pain maybe inevitable, but suffering is optional"
Amazingly inspiring wisdom. This positive attitude in all the situations in life is a much sought after quality. Possessors of this quality can never be put into any suffering ever as they can see and transform every bad situation into a positive one by the virtue of this vital quality. 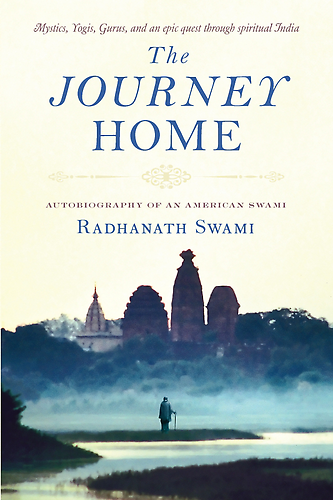 Many thanks for publishing this inspiring wisdom from HH Radhanath Swami. Agree Piyush. 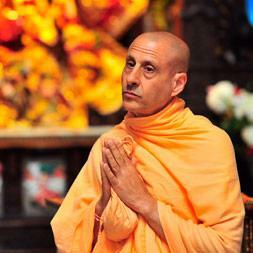 I believe Radhanath Swami and Sridhar Swami are such professors of positive attitude.